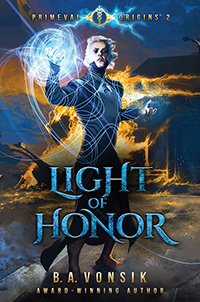 Multiple-award winning Primeval Origins: Light of Honor is the second book in this epic Fantasy/SciFi story telling of the origins of mankind, our heavenly hosts, and of the eternal war between the goodness of the Light and the evils of Darkness. 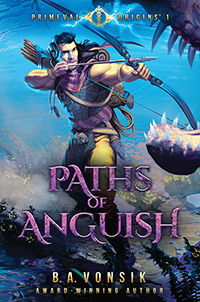 Join in the grand adventure revealing humanity's heroic struggles against terrible tyrannies, deadly dinosaurs, beasts of old, and ancient gods answering the question, "What if all of our myths and legends are true?" Fleeing across the sea from enemies familiar and unknown, the crew of the Wind Runner and I fight for our lives as we struggle to keep safe our strange and ancient cargo, the unconscious Rogaan and Aren. We have need the help of these warriors of old as we battle deadly Tyr super-soldiers of the New World Order, now commanded by the forces of the Crescent Moon, intent on taking our ancient cargo for themselves. I suffer horribly the wrath of the Tyr when protecting the unrisen Horsemen, hurling me to the brink of death and back into the ancient world of mankind’s first civilization, reliving the past through the eyes of the then young and aspiring warrior Rogaan and the mystic Aren. As my Light, again, plunges into the maelstrom of our deep past experiencing a culture both simultaneously primitive and advanced, as our ancient ancestors struggle against self-corruptions and unseen powers born of jealous entitlements by their celestial gods and unknown intelligences. In these remembrances, I am witness to terrible injustices and impossible trials levied by the covetous tyrannies against Rogaan, Aren, and many others. In the here and now, I find rising deep questions about humanity’s origins and the seemingly eternal battle between the goodness of the Light and the selfish evils of the Darkness. I, Nikki, now standing at the precipice at the end of mankind’s Fourth World-Age, bare testimony of our undiscovered history, in these blue steel epics, revealing the origins of the Horsemen of Prophecy… before the sounding of the trumpets. Whoa! In a fast paced thrill ride of a read by author B.A. Vonsik, Primeval Origins: Light of Honor, Book Two is nothing if not an exciting and must-read adventure story." Readers' Favorite, 5 STARS! "I feel that this series (Primeval Origins) is destined to be recognized as a classic." Reader Views, 5 STARS! "All readers, regardless of them having read the first volume or not, will feel like they have been deposited onto a whirling tornado or the crest of a tsunami, and the best thing to do is ride it out to the very end. I find it to be a very exhilarating ride!" Celina Cuadro for Bookideas.com, 5 STARS! 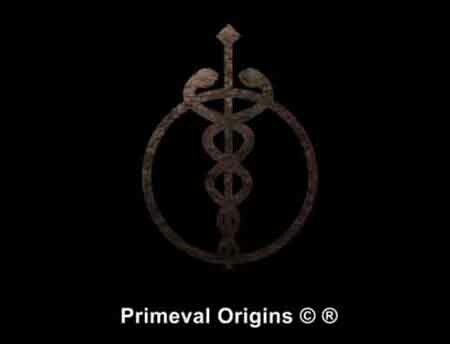 Visit the Primeval Origins websites at: celestialfurypublishing.com, primevalorigins.com, facebook.com/primevalorigins. The websites are loaded with news, the Primeval Origins Encyclopedia and Lexicon (all the background elements that you just can't stuff into the books). 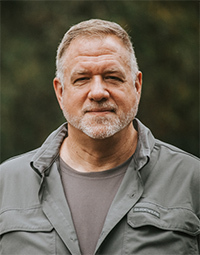 MULTIPLE AWARD-WINNING AUTHOR, B.A.VONSIK served as an United States Air Force Special Operation aviator and now works in the training industry. He spends much of his time busily detailing the world of Primeval Origins from new discoveries and research in ancient legends and mythologies, creation myths, religions, sciences, and technologies. B.A.Vonsik lives with his extraordinary wife in Florida, USA. © 2019 Celestial Fury Publishing. All Rights Reserved.